Unobstructed open bay views from this 3-floor contemporary compound featuring 6 bedrooms, 8. 5 baths 13,930 sqft. 1st floor with over 4,000 sqft under ac not included in living area where you can enjoy a full gym and playroom. 2nd floor has a gourmet kitchen, custom theater, wine cellar, office, living room w/bar and maids quarters. 3rd floor has the master bedroom with his and hers closets/baths, huge balcony with stairs to a roof top sun deck and 3 bedrooms. Detached guesthouse 1 bedroom 1 bath. Savant system throughout the house & state of the art security system. 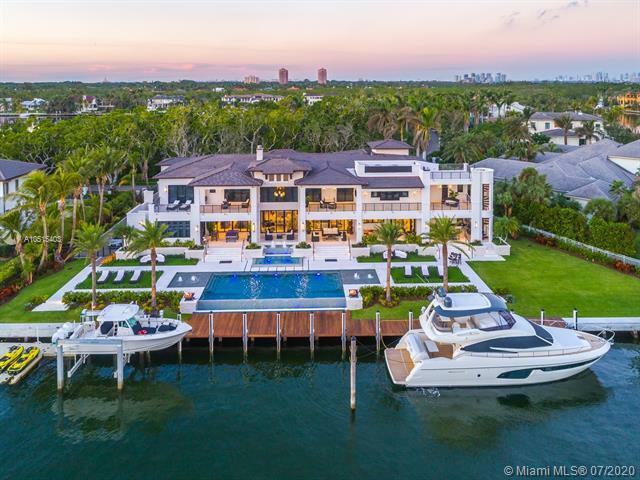 Exterior: infinity pool, swim up bar, custom island bar and bbq, natural gas generator and a concrete dock for two 60 ft yachts. Auction: previously $13. 8m. Without reserve. Open daily 1-4pm & by appt. Come home to south florida splendor in the former home of john t. Peacock, one of the founders of coconut grove. With elegant finishes, voluminous ceilings, skylights, and walls of french doors giving you glimpses of the gorgeous gardens, your mediterranean villa feels like a lush oasis in the center of everything. Your art collection has met its match in 2131 south bayshore drive. Gallery walls abound inside, while european-style gardens are the perfect backdrop for sculpture. 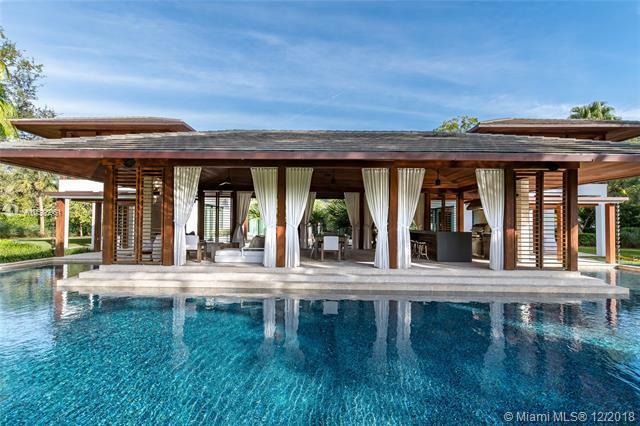 This estate was built for entertaining inside and out with resort-style amenities, a pool, chefs kitchen with butlers pantry, and two private guest suites. Upon entering this enchanting 2. 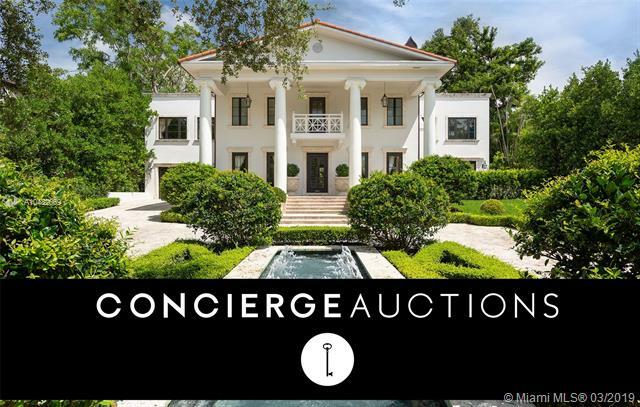 87-acre gated coral gables estate, the winding, signature driveway is lined with 100 majestic oak trees. 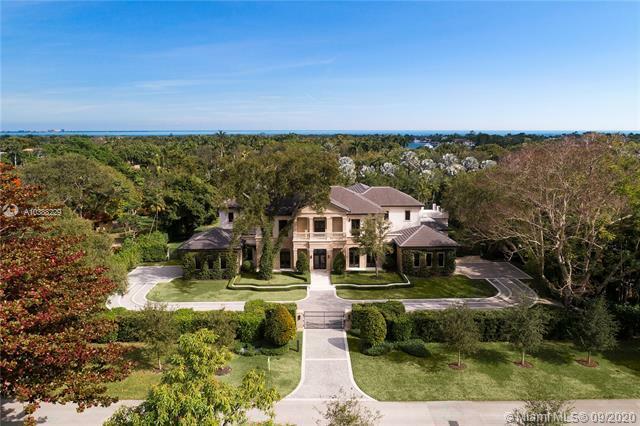 At 15,668 sf the home features 10 beds & 12 baths with sweeping two-story ceilings. A connected grand salon and formal dining room has been designed to comfortably entertain over 20 guests at the highest levels from government officials and celebrities to the finest holiday celebrations with family, friends, and loved ones. Offering intimate comfort and expansive entertainment spaces, this stunning, private property offers grand resort-style living. Amenities include a library, home cinema, game room, gym, while also providing a seamless connection to the covered outdoor patio, oversized pool, lighted tennis and basketball courts.